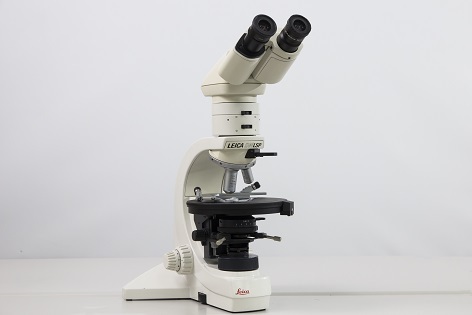 The Leica DM LSP is a polarized light microscope with a simple design that makes it suitable for a wide range of routine laboratory work. 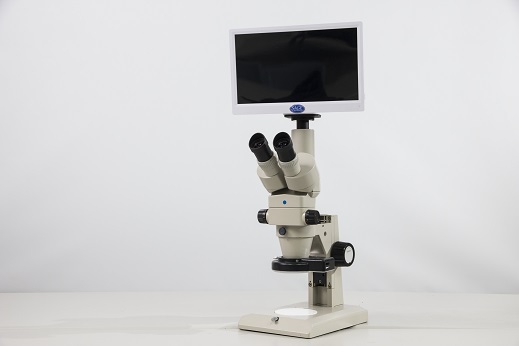 The space-saving design makes this microscope the ideal instrument for advanced teaching. The Leica DM LSP has an eyepiece lens with 10X magnification and objective lenses with 4X, 10X, 40X magnifications. The Leica DM LSP is special for its polarization system with a polarized lenses and a 360° rotatable stage. 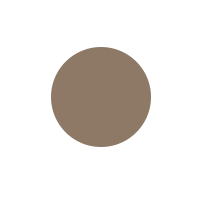 Making it possible to observe mineral slices and understand the optical properties of mineral. The Nikon SMZ-2T is a trinocular Stereomicroscopy that was designed to accept a CCD-based digital camera. Nikon engineers broadened the zoom range for the SMZ-2T to include magnifications from 1x to 6.3x, which are particularly useful in observing hand specimen and microfossils.